This post marks the first in a new "Understanding IPFS in Depth" series which will help anybody to understand the underlying concepts of IPFS. We will keep the series as fun and engaging as possible ???? Understanding IPFS in Depth(1/6): A Beginner to Advanced Guide: In this part, we will try to understand What IPFS is, Why do we need it and What we can do with it. 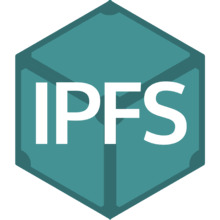 We will cover all the underlying components of IPFS in brief(which will be explained in depth in further parts) and see how they work together. If you want a short summary and don't want to understand what's happening "under the hood", then this part is for you ???? Understanding IPFS in Depth(3/6): What is InterPlanetary Naming System(IPNS)? : In this part, we will dive into the naming System of the distributed web. We will discuss it's working, specs and play with it. We will also compare it to today's naming system, aka the DNS. We will create a list of pros and cons of IPNS vs DNS. Understanding IPFS in Depth(4/6): What is MultiFormats? : In this part, we will talk about Why we need Multiformat, How it works and What you as a user/developer can do with it? Understanding IPFS in Depth(5/6): What is Libp2p? : In this part, we will study the networking Layer of IPFS and what it contributes to the awesomeness of IPFS. We will go through it's working, specs and play around with it to understand it more clearly.